Not everybody uses WhatsApp or Facebook Messenger, and there are some instances where a good old SMS message is still preferred. 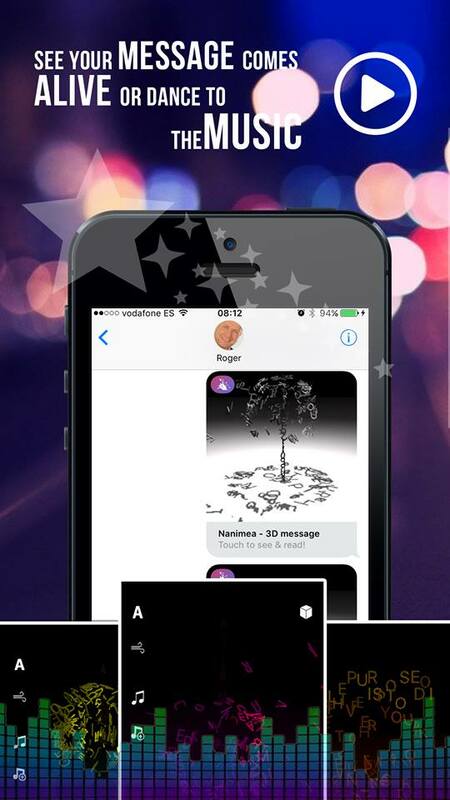 If you want to make use of your unlimited free texts we have the perfect solution – an amazing app called Nanimea, launched on the iOS platform by the Indie developer Roger Boesch. The Nanimea app can help you turn your texts into wonderful pieces of art, it can make them more personal and more beautiful. How? In a playful and innovative way, it lets you send individual text-messages in the form of interactive hearts, flowers and many others. You can write anything you want and send to whoever you like. And the more messages you send to friends & family the more model get unlocked. There are tons of great 3D models in this app, all you have to do is write your message, choose the color and choose the model. Then let the letters transform themselves to a beautiful 3D message which you can send to your friends and family. They will love anything you send them, we assure you! Nanimea provides with multiple languages to write your messages, like English, German, French, Italian, Spanish, Malay, Indonesian, etc. They can be sent directly to your friends and family through iMessage. Forget about boring and static texts messages, start fresh and cool by downloading this one of a kind app from the App Store – it is completely free!